Tommy Martin says if Celtic want to be a big club, they have to act like one. Celtic will face a nervy trip to Sweden tonight. DOES WHAT YOU are not define you as much as what you are? Would Jerry have lived an uneventful mouse’s life were it not for a dumb but determined tomcat? Would Winston Churchill have mouldered into his dotage as an eccentric Tory backbencher had Adolf Hitler not needed sorting out? Would Big Daddy have remained plain old Shirley Crabtree were the menace of Giant Haystacks not to be confronted? Celtic Football Club has been in the unusual position of living out just such an existential crisis over the past three years or so. The Celtic family is divided into a number of groups. There are those who hate Rangers but openly maintain that regular conflict with them is a necessary evil. There are those who hate Rangers but secretly long for their return. And then there are those who hate Rangers and believe not only that the current Ibrox incarnation should not be allowed to exist, but that Celtic and Scottish football in general would be a much healthier and happier place for all concerned if their stadium were turned into a large branch of Tesco. Progress in the Champions League is a big deal for the last bunch. Who needs quadrennial grapples with your despised neighbours when Barcelona are due in town? A trip to Govan for a league cup quarter-final? No thanks, Juventus await! But feeling you belong among the European elite and actually getting yourself there are two very different things, especially given Celtic’s puny domestic springboard. Celtic’s predicament was summed up recently on the website of something called Visionary Sports Investment. So basically, cheap and really good. Later Moss compares Celtic to previous clubs at which he has worked, Swansea City and Crystal Palace. Crystal Palace, by the way, have just spent £10million on Yohan Cabaye and £9million on Connor Wickham. And that’s the problem for Celtic: how can you be an ‘institution’ on a budget? A footballing juggernaut should approach a Champions League play-off tie with Malmo without trepidation; the Swedish champions’ whole squad was assembled for a sum that wouldn’t cover Connor Wickham’s tattooist bill. Yet no Celtic supporter expected Ronny Deila’s team to take their place with the other ‘institutions’ in the group stage without a real struggle (as Celtic’s narrow 3-2 lead ahead of the second leg would confirm). Defeat in a tie like this should, in theory, lead any self-respecting ‘institution’ to self-combust in an inferno of recrimination, mass sackings and the hasty interim appointment of a ship-steadying club legend. If Celtic lose the Malmo tie, however, the main impact is likely to be the hastening of central defender Virgil Van Dijk’s inevitable departure to a Premier League destination. Deila wouldn’t be fired, so it’s unlikely Danny McGrain or Billy McNeill will have to take training anytime soon. The anguish of missing out on the Champions League would still torment the club’s supporters, but Celtic would carry on about their business. The club doesn’t budget for group stage participation and would still be in position to achieve its basic goals: winning the Scottish title and participating in European football (albeit the Europa League). Upon his arrival as manager, Deila instituted a new dietary and fitness regime, hoping to create what he called “24/7 athletes”. Mars bars and Irn Bru were banished from the club canteen and Deila utilised the club’s nutrition and sports science departments for the first team squad to a greater degree. Former Donegal football manager Jim McGuinness was promoted from his role with the development squad to become ‘First Team Consultant’. All groovy, right-thinking modern football stuff. Mind you, this Zen approach to running a Glaswegian football giant is a hell of a lot easier when the other Glaswegian football giant is not around. Celtic had been doing things ‘the right way’ long before the demise of Rangers. When Rangers were making their journey toward oblivion via tax avoidance, financial hara-kiri and corporate bloodbaths, Celtic balanced the books with dour fastidiousness, and their policy of buying undervalued players with sell-on potential predates 2012. But with Rangers waylaid, Celtic were free to take a chance on a left-field appointment like Deila (the flirtation with Roy Keane in the summer of 2014 suggests not all the Parkhead hierarchy were on-message) and were also under less pressure to stray from the ‘Moneyball’ approach to player recruitment, safe in the knowledge that their squad would be sufficient to keep them on top in Scotland and that charges of penny-pinching would be allayed with a sober glance toward the wreckage at Ibrox. With the return of Rangers (mark II) to Scotland’s top flight seemingly imminent, Celtic will soon find out if their conversion from Old Firm holy warriors to smart economy Euro-citizens has been a successful one. One suspects that a weak Rangers (their financial woes remain severe and they are deeply in hock to Newcastle owner Mike Ashley) back in the top flight would suit the new Celtic nicely for a little while at least. Being in the Champions League group stage would be even better. Email “Redefining Celtic: Champions League can make derby days irrelevant”. 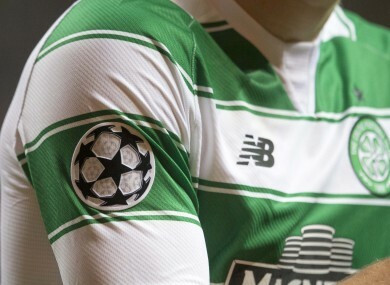 Feedback on “Redefining Celtic: Champions League can make derby days irrelevant”.